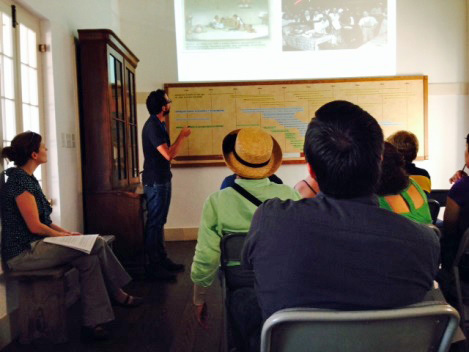 Casa Navarro State Historic Site recently hosted Salsa Navarro: Historic Cookbook Recipes in the Modern Kitchen. 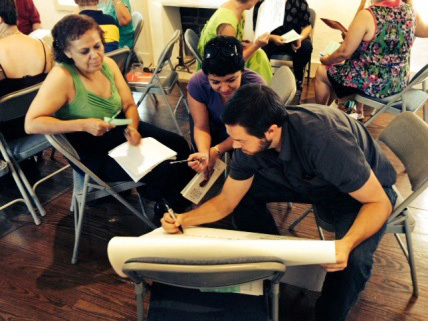 This event was the site staff’s first effort at engaging the public in historic Tejano gardening and foodways. The goal of the interpretive program was to expose attendees to primary resources in the community and have them consider the types of food that Tejanos may have cooked using produce available during the 19th century. 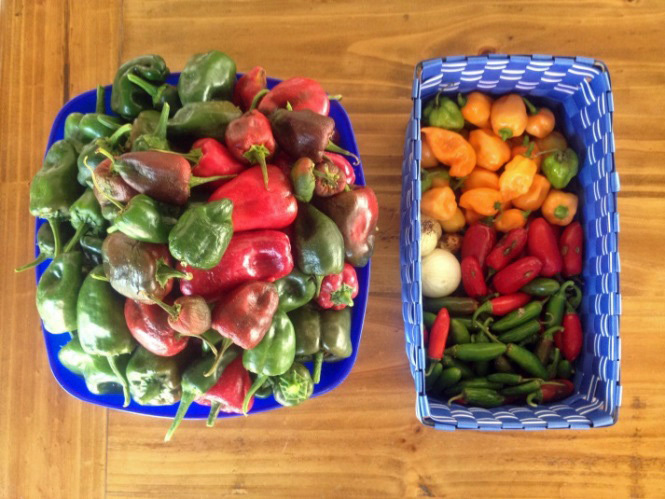 We harvested a variety of peppers, tomatoes, onions, and spices from our interpretive garden, and dove into the Mexican Cookbook Collection at the University of Texas at San Antonio (UTSA) Library for primary source material. The collection is rich with all types of recipes. Nano Calderon, Casa Navarro staff member, enthusiastically experimented with recipes for salsa. 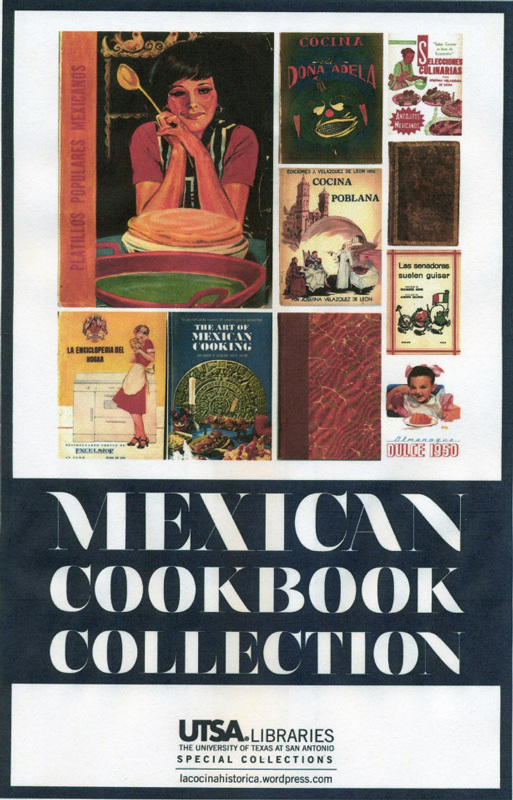 This amazing collection contains cookbooks dating from 1789, but for this program, Nano concentrated on working with popular cookbooks published in the 19th century, primarily El Cocinero Mexicano (1831), Nuevo y Sencillo Arte de Cocina, Reposteria y Refrescos (1865), and Recetas Practicas para La Senora de la Casa (1890). Program attendees first went on a scavenger hunt for ingredients and cooking tools found in the site’s interpretive panels and interactives. There they formed a basis for understanding the types of fruit, peppers, and spices that Tejanos regularly cooked with. 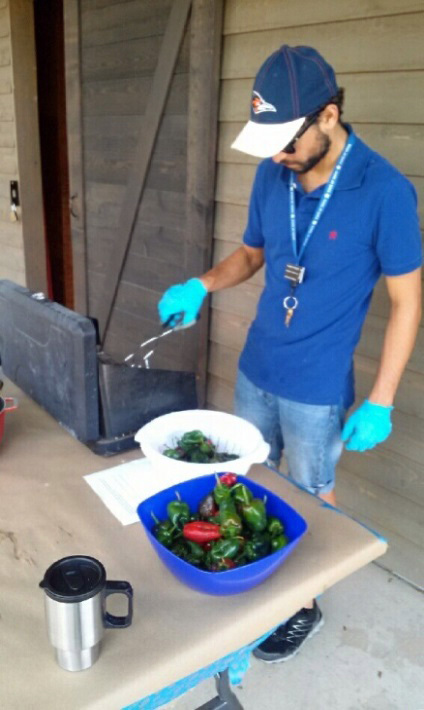 “Salsa de Chiles Poblanos” made from peppers and spices harvested from the Casa Navarro garden was available for sampling. To make it, Nano used a traditional recipe published in El Cocinero Mexicano. Salsa de Chiles Poblanos: Se asan, se pelan y se desvenan los chiles poblanos. Se machacan despues sin remolerse, y se les anade aceite, sal y cebolla cruda picada. Poblano Chile Sauce: Roast, peel, and devein the poblano chiles. Chop and crush the chiles and add oil, salt, and chopped raw onions. Guests then moved to the main building where they listened to presentations about the Mexican Cookbook Collection, given by UTSA Librarian Juli McLoone. 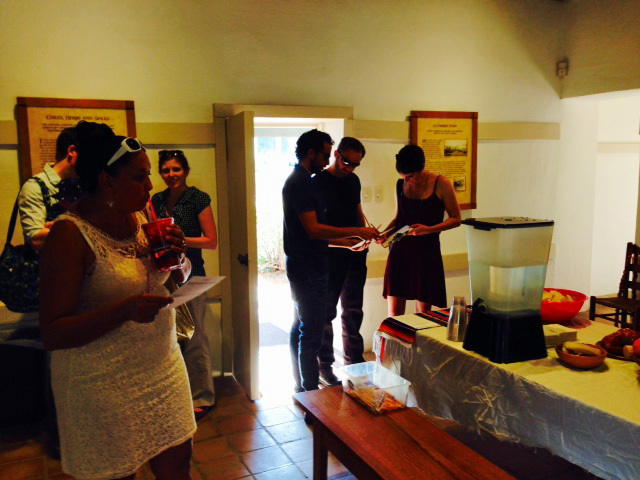 Afterward, they recreated historic recipes using produce from the interpretive garden by Nano Calderon. 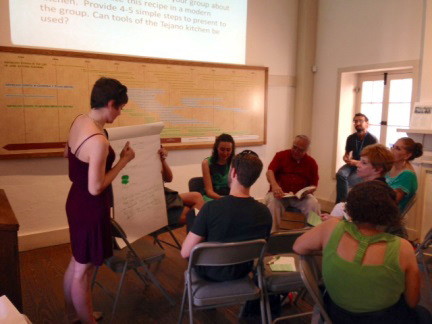 Following this, participants broke into groups and were provided with recipes from the above-mentioned books and asked to create a plan for reproducing a historic recipe in the modern kitchen. Each group did a great job adapting the recipes and presenting their plan to the other groups, which included a list of ingredients and four to five simple cooking steps. It was a great experience overall, and we have received positive feedback from attendees and those who helped make the program possible. We look forward to hosting a similar event using the Mexican Cookbook Collection and our garden for a program on mole, a sauce primarily made during the holidays. Nano will no doubt produce another excellent program. Attendees at the Salsa Navarro program.